Hi! It’s midweek and I took this picture yesterday to blog today and I’m finally just getting to it now. I really like this place, it’s a rainy little skybox in Bay City. Speaking of rain I’m wearing a dress from Fishy Strawberry that says on it “I love Coffee, books and rain..” That is so true for me. 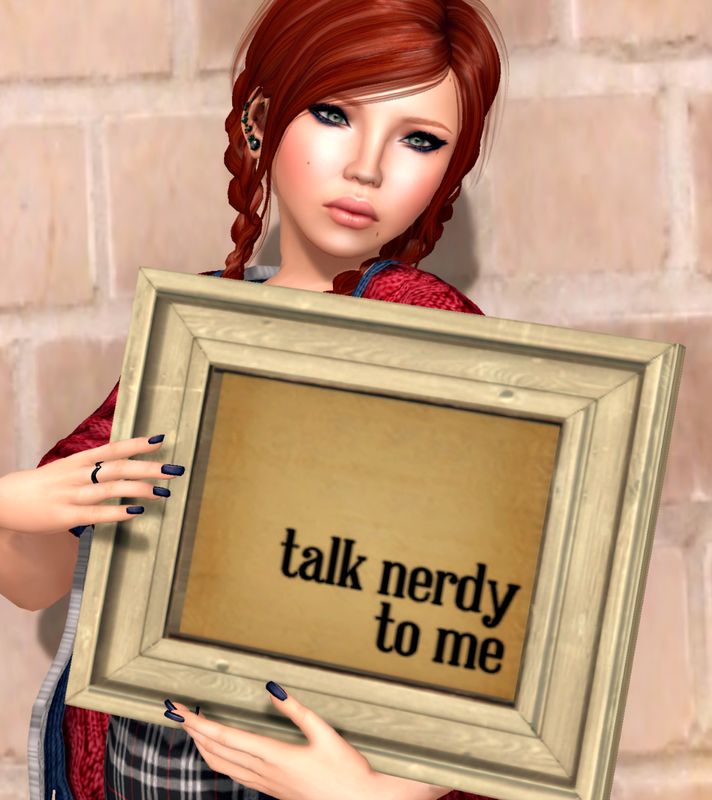 I’m also wearing boots from Livalle, hair from Olive, tights from Izzies for the Maitreya Body, and glasses from Yummy. My skin is the Alice skin at Kustom9. My cigarette is from Kunst. Hello! Today is my 8th Rez Day in Second Life. Who would have thought I would have been here for so long. 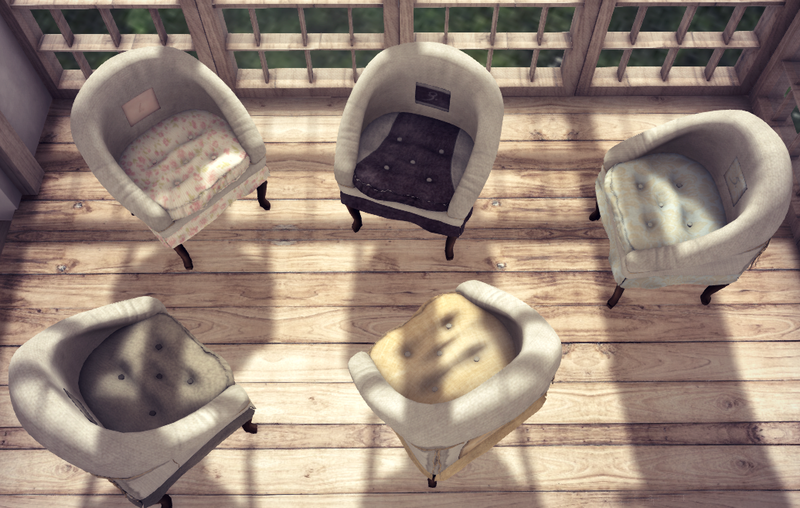 What I have today is some things to show off from The Liaison Collaborative! I’m wearing a new outfit that is there from Fishy Strawberry. It’s perfectly casual and very much something I’d wear around the house for the holidays. The pose that I’m using is also from TLC – and it’s from Bauhaus Movement who has has an impressive wide range of poses. The furnishings that you see (the rug and the joy sign are from Tarte) The tree’s are from Tarte’s Gacha because TLC this month has an area for Gacha’s and the snowflakes on the window are from Plethora. My hair is from Wasabi Pills, my shoes are from L.Warwick at TMD and the build is Scarlet Creative. It’s been quite the week helping to set up at the Arcade and I have a few things to show today from Half-Deer. They made one of my favorite sets this round of the Arcade.. I love the little bunny ears, the flutterbun bun, the forest lamp and the bow.. all so cute and you can try your luck at these items for 75L a play! The gold shoes that I am wearing are from the Forge, also at 75L per play and this hair is from Exile at 100L per play. This round of the Arcade is the birthday round so make sure that you stop and say hi to Archie! 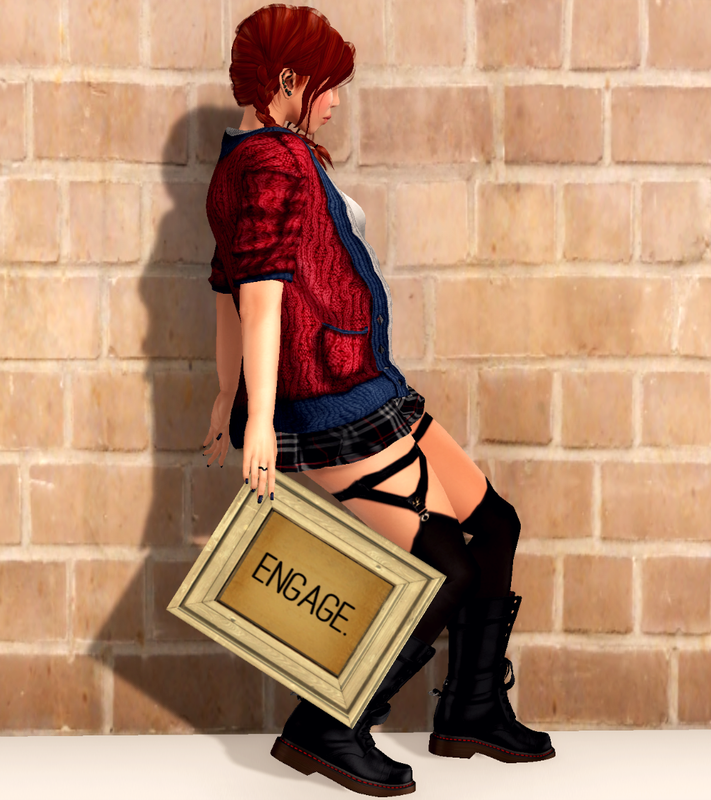 My dress is from Fishy Strawberry at Fameshed and this pose is from Marukin. Atelier Kreslo Ice Cream Festival! Atelier Kreslo is having an Ice Cream Festival and you are all invited! The cone that I am Holding is made by Octagons Yazimoto and is called Pizzy’s Beary Cone and I love anything with bears so this was my first choice but I plan to go collect as many ice creams as I can and they are only 35L a piece. This event would be great for the young or the young at heart! I am also pleased to say that TDR has a great round and I am wearing something new from Fishy Strawberry! I am so happy that they are back and I looked forward to seeing more mesh from them. I love this outfit. 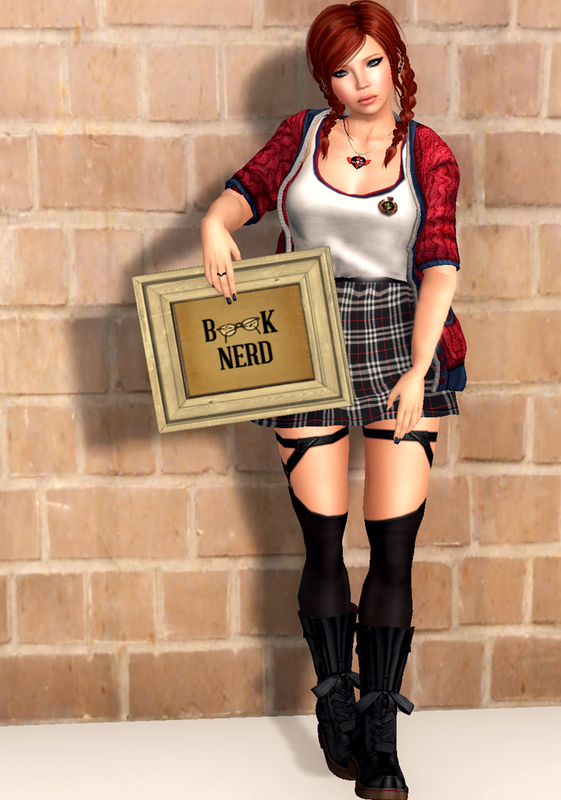 My pose is new from !Bang – who just released a slew of fantastic poses and my hair is newish from Truth which I thought went perfect with what I was wearing. My house in the back ground is the newest one from Barnesworth Anubis and I will have pictures of it soon but if you haven’t already seen it go to Collabor88 and check it out!